Summer is my favourite season for fashion. I love how easy and effortless summer style is. Throwing on a summer dress and a pair of heels. Working your trusty denim shorts with a cute pair of sandals, or chucking on a pair of jeans worn with your new favourite pair of trainers. Summer, for me is all about the footwear. 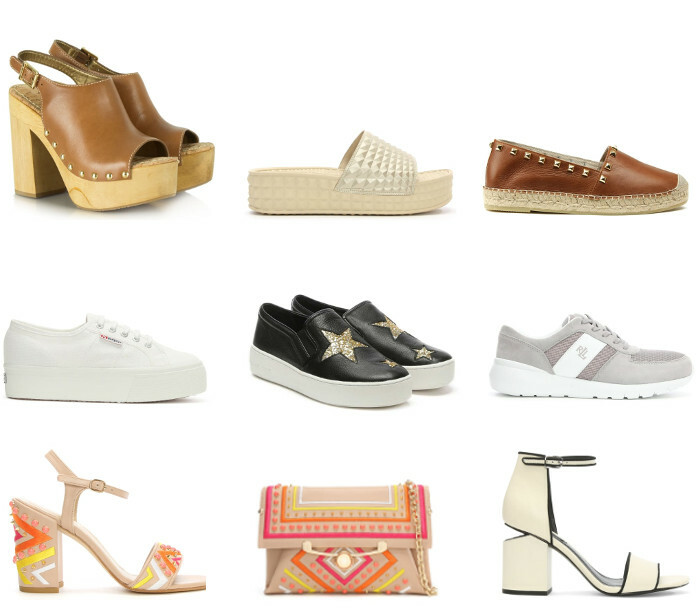 Lately I've been browsing through endless amounts of shoes on danielfootwear.com. Dreaming about owning a pair of their designer sandals, and adding a few more affordable pairs into my basket. I have also been crushing on a few handbags too, I mean... who can blame me? I'm seriously dreaming of owning the Stuart Weitzman shoe bag combo! What are your current favourite summer shoe styles?